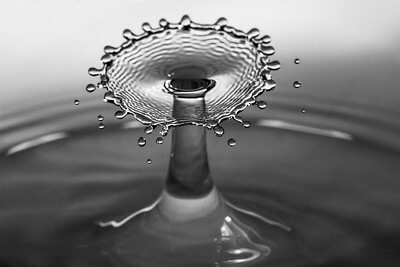 Abstract monochrome photograph of a water drop collision. 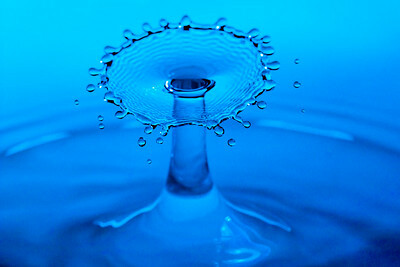 Water drop collision photography featuring a two drop collision in blue light. 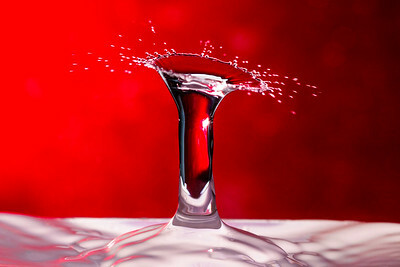 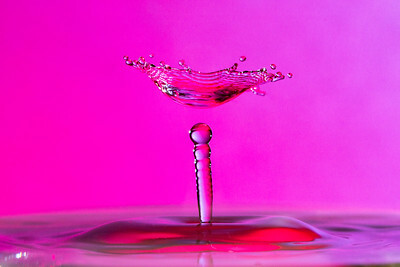 Image of a vivid hot pink water drop collision with expanding flat splash at top of column. 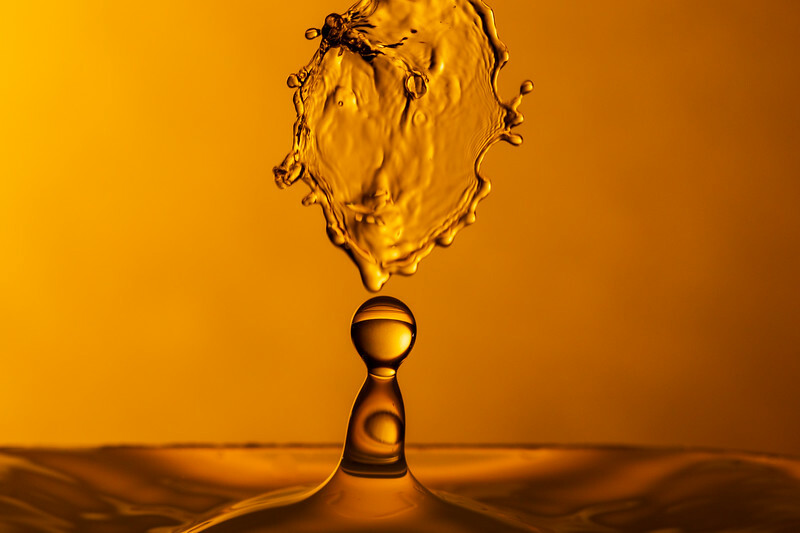 A golden tinted water drop collision creates a caramel color effect with vertical collision above the water column and sphere. 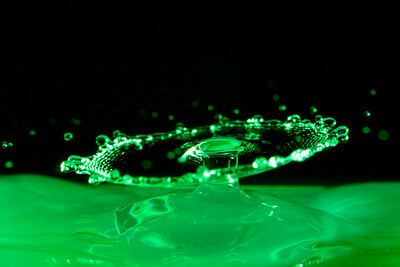 Image of a green tinted water drop collision resembling a platter with droplet splashes moving out of focus. 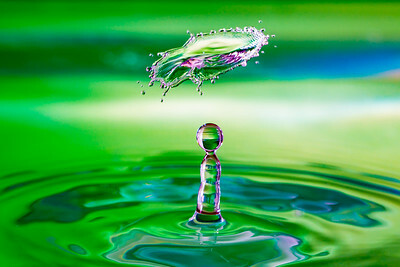 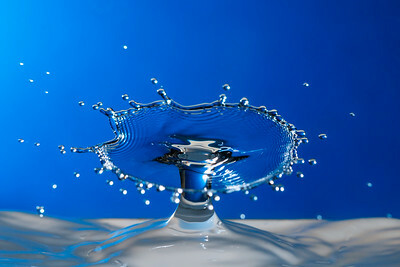 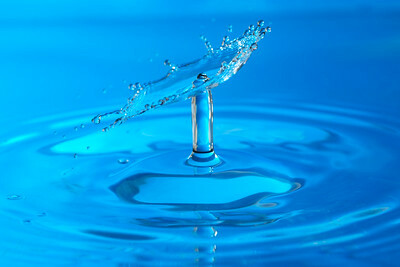 Image of a water drop collision in green and blue with column and sphere and hovering splash above. 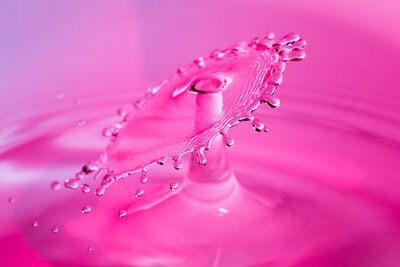 Abtsract macro photograph of a water drop collision creating a hovering splash above a beaded and segmented water column in magenta light. 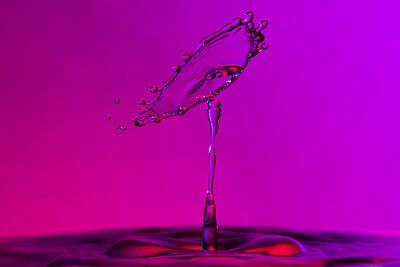 Abstract macro image of a hovering water drop collision in purple gelled light.